This novel tells the story of two siblings who lose their way and try to find the path back to a happier life. It interweaves the complex relationships between a father, his two children, the people they encounter and those they love. Written by Dorset author, Eve Bonham, The Lost Journey Homeward is a novel about a brother and a sister, living in different countries, who find their lives spiralling out of control. They try to get things back on track as they look for love but find disaster. Yet they ignore the one person wanting to help them. Eve lived in France with her family for 14 years but returned to home to the UK and Dorset in 2002 when she took up writing fiction. She has written articles for magazines and many short stories. Her first book Madness Lies and Other Stories was published in 2008. Her novel To the End of the Day was published in 2011. 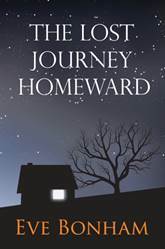 The Lost Journey Homeward, published in June 2015, is her third book of fiction. “I've always been intrigued by the story of the Prodigal Son and his discontented elder brother,” explains Eve, “though in my book the prodigal is a daughter, Kate, who strays badly off the rails and the older son, David, is a workaholic, who runs a debt-ridden hotel. Their father, Theo, is a renowned sculptor and tries to help his wayward children.” She continues; “I was inspired by 'The Return of the Prodigal Son', a famously beautiful painting by Rembrandt, which I first saw many years ago in the Hermitage in St Petersburg, in which the older brother stands in profile looking down at his father welcoming his younger son who has arrived home in rags. This powerful painting has given me the themes for my book: guilt, forgiveness and hope, which are interwoven with a love story. Eve Bonham is the author of three books: a collection of short stories 'Madness Lies & Other Stories; a novel about female friendship, 'To the End of the Day,' which was published in 2011; and her latest novel, ‘The Lost Journey Homeward’. She was, at one time, London's only female fine art auctioneer. 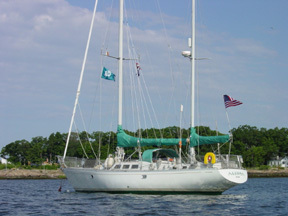 She has competed in yacht races across the Atlantic and Round the World, and has travelled far and wide overland. Having lived in a Breton village in France, Eve now lives in Dorset with her husband, writes in the mornings, works for a property company, assists in community projects, paints watercolours and plants trees.